Sailing has come up in discussions of new expansions to RuneScape since way back in 2008. Because of this, the idea of sailing is one that resonates with a huge number of RuneScape players. The core of what we would like sailing to be fits in perfectly with what makes so many players love RuneScape: Exploration and adventure. Sailing is the perfect vessel to build the sense of adventure that all RuneScape players love. You will be able to take your ship out to sea and roam the unexplored waters of Gielinor, removing the mystery and taking on the unknown. We would like to offer sailing as an update to come early next year and will be polling it this Thursday. Please take the time to familiarise yourself with the skill by reading this blog so you know exactly what you are voting for. You should expect to spend a majority of your time out at sea exploring in order to level up. There will be other methods available, such as ship building and navigation, but the focus of sailing will be exploring the seas of Gielinor. Each time you board your ship and head out to sea it will be a new experience and exploring what the seas have to offer will be an excellent way to train sailing. When out at sea you will move your ship in the same way that you usually walk with your character. This will offer you a lot of freedom in the water and will make the experience feel smooth and familiar. The content you run into each time you take your ship out to see will be different as you face randomly generated seas that will throw a variety of challenges your way. Taking on anything that comes your way and completing these challenges will provide you with sailing experience. The different content you find coming your way when at sea will offer you opportunities to gather new resources that will be used both within sailing and throughout the wider game. Large, underwater caverns will be one of the big attractions of sailing. Should you make your way to an underwater entrance, you will be able to jump off your ship to explore the randomly generated cavern containing brand new enemies and, of course, lots of potential loot. Your sailing level will determine how much you can explore so being a master sailor will allow you to head to the furthest depths of these unexplored caverns. Of course, taking on a cavern will reward you with sailing experience. There will be a huge number of potential challenges and encounters that you will find in the seas of Gielinor. These events will span from quick, action-packed 2 minute adventures to lasting as long as you can manage to stay afloat. All of these events will provide you with sailing experience. Let's run over just a few of the ideas that we plan to include. Please note: the challenges listed below are examples. We will be looking to the community to help us create a massive, varied list of events to occur when out at sea and will be able to go into more depth on these events in the near future. Defend the settlement- A small island is under siege and needs your help to defend against the attack. Kraken encounters- You've seen what the Kraken can do in a dank cave, now it is time to try your luck out at sea. X marks the spot- You've discovered a small island. Perhaps there is a little more to it than it seems. Cyclone crisis- You have ended up in the midst of a cyclone. Save yourself and your ship by escaping. We will be dramatically increasing the size of this list before the release of sailing. In the process we will be running a player design competition as we know the community have many, many ideas that will help sailing be all it can be. You will gain experience every time you navigate a set, point-to-point route. Along the way you will have the option to take part in events and challenges that will appear on your path and doing so will provide you with more experience for the trip. You will be able to pick from your existing ships and set it up to best suit the journey you are heading out on before setting sail. For those of you that like to be able to grind away at a skill, ship building is for you. Building ships is a simple, repeatable process that will earn you sailing experience at a constant rate. Ship building will not provide experience rates comparable to exploration but will allow for a more relaxed style of gameplay for those who prefer it. Step 1. Initiate the build. Step 2. Check the status of your ship to see if it is complete. Step 3. Modify your ship with upgrades. Step 4. Sell your ship or sail. The higher your sailing level, the more options you will have when it comes to the quality of your ship and what upgrades you would like to add. Below is a run-through of the ship building process with some additional information. Head to a shipyard and initiate a build. To do this you will need to provide workers with the necessary resources and tell them what to build. The required resources will vary depending on the type of ship you are building but will generally include various types of planks, bars, nails and cloth. Depending on the type of ship you are building you may also receive small amounts of construction, crafting or smithing experience. After some time passes you can return to check the status of your ship. In a similar way to checking the health of trees in Farming, this will earn you experience. Choose if you would like to add upgrades to your ship. Choose whether you would like to sell the ship off to an NPC for a low price or commission it for use out at sea. Selling the ship off will allow you to immediately start a new build whereas commissioning the ship will prevent this. As you level up your sailing you will gain the ability to build at more and more shipyards that offer faster build times. You will be able to build at different shipyards simultaneously. Having a higher sailing level will, of course, help you build bigger and better ships. As you level up you will have access to an awful lot more customisations and upgrades for your ships. Perhaps the most important part of your ship is the hull. 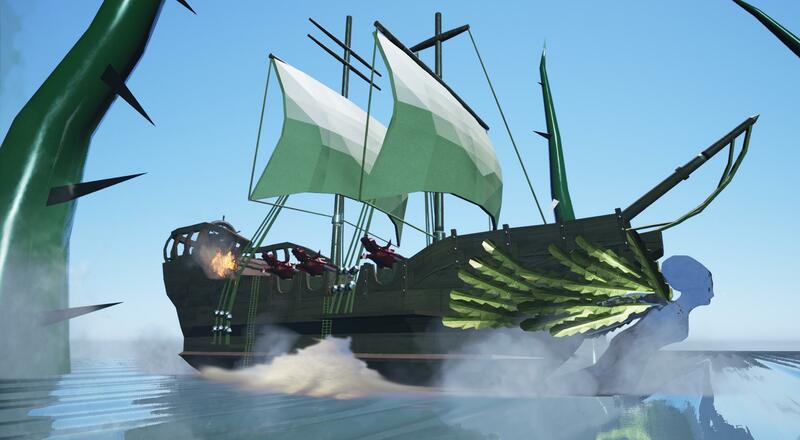 As you level your sailing you will unlock the ability to build ships with stronger hulls, allowing you to take on heavier seas and lasting longer. A higher sailing level will also mean more upgrades. The key upgrades that will help you on your journeys are storage, cannons and hull plating. Storage offers you a place to keep items you may need or collect during your journey, cannons offer a huge amount more fire power and hull plating will improve how long you can last out at sea. A majority of the upgrades for your ships will be created using other skills. 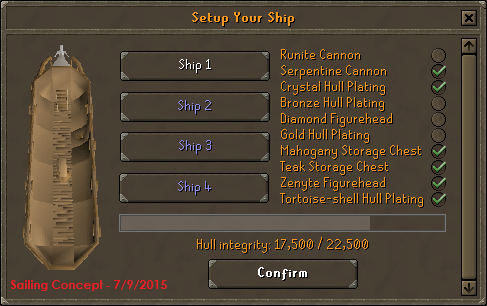 For example, cannons would be created using smithing and figureheads will be created using crafting. These upgrades would, in most cases, be tradeable between players. Sailing will offer access to a plethora of new content for you to enjoy. The content unlocked at later levels will allow those of you who become expert sailors to reap the rewards of working hard and reaching those higher levels. In this blog we are going to talk about the Gemstone Caverns. This area will be a very rewarding area and will only be accessible with a sailing level of 55 (or someone with 55+ sailing level to take you to Atlandys where the entrance to the Gemstone Caverns is found). Please note: All proposed best-in-slot items and content that would increase the top experience rates available will be polled separately from sailing. The Gemstone Caverns can be found deep beneath Atlandys. The caverns hold masses of gemstone creatures to be hunted, gemstone dragons to slay and even precious implings. With treasures including the dragon sword, dragon crossbow limbs, the dragon warhammer and Zenyte, a new top-tier gem, you will have no shortage of reasons to take on the caverns. Gemstone dragons are a fierce new set of dragons ranging in difficulty from sapphire to ruby. Taking on these beasts will offer you a very slim chance of receiving dragon sword, dragon warhammer or dragon crossbow limbs drops. You will also have a chance of receiving a Zenyte shard, used to create a Zenyte gem. Jade, Opal, Topaz, Sapphire, Emerald, Ruby & Diamond creatures are scattered throughout the caverns. These creatures are no easy catch but an experienced enough hunter should have no trouble getting their hands on them. Catching these monsters will require between 32 and 95 Hunter, depending on the type that you are attempting to catch. These incredibly rare implings can be caught with 93+ Hunter. Looting them will give you a very slim chance of receiving a Zenyte shard. When below 10% hitpoints, this ring will fully heal you. After 10 uses it will revert to a Zenyte shard and need another cut onyx.. Doesn't work in PvP. Passive heal effect when fighting NPCs. Vast dungeons packed with various beasts, both familiar and new. New locations for training existing skills. Discover the lost island of Atlandys. Meet the mermaids of Charlotaynia. ... Lots, lots more. We will want your ideas to help make sailing all it can be! We believe that, as long as the skill being introduced is one that the community are behind, the addition of a new skill can breathe new life into the game for thousands of people while still preserving the Old School experience that brought them to the game to begin with. Sailing will be available in F2P. There will be content that is members only but it will be possible for F2P players to train the skill and access a portion of the content it brings. Will sailing be more like a minigame than a skill? Not at all. Minigames are very self-contained and, outside of rewards, have no impact on the wider game. Sailing will be seamlessly integrated into the Old School world and will be a true part of the game. As you level up sailing you will unlock the ability to do more and more with the skill. This will be applicable all over Old School. Will sailing tie into other skills? Yes. Sailing will be a part of the game and, similar to many other skills, there will be direct connections between sailing and other skills. 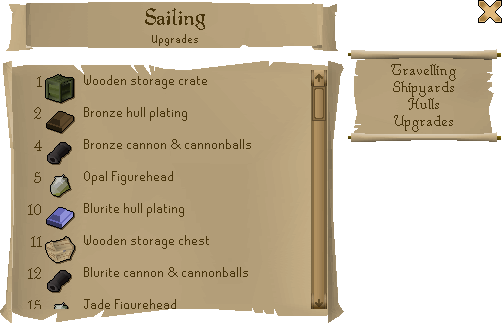 A couple of examples of this are how the ranged skill will be required to use some of the higher tier cannons and the woodcutting skill will be required to obtain the logs used to make higher tier ships. Sailing will not be a stand-alone part of the game. Will I need to be in a group to get the best experience rates? No. The top experience rates will be achievable in solo gameplay. Will there be any player design contests for sailing? Yes. We plan to have the community submit a lot of ideas to help make sailing all it can be. Keep an eye out for those in the near future. Are there going to be any player-vs-player aspects to sailing? Not initially. We had planned to include PvP in the initial launch of sailing but we felt that getting the fundamentals of the skill as perfect as we could before introducing PvP would be a better way of going about it. How will I control my ships when at sea? What will happen if sailing fails the poll? As with any content we poll, if we feel there is a certain sticking point that we could easily address to see it pass we may re-work the content slightly and offer the new version. With that said, the odds of this happening for sailing are very slim as we haven't seen any widely voiced concerns with the design. Is the focus of the skill going to be building ships? Will it be the best experience? No. You will earn more experience by taking to the sea and exploring. Ship building will be a key part of the skill but it will not be the primary way to train. Ship building will act as a slower, more grindable part of sailing. Will I be able to enjoy sailing as a pure? Yes! Pures will be able to train sailing without fear of unexpected experience gain. Will I be able to enjoy sailing as a skiller? As with pures, there will not be any risk of unexpected experience gain when playing as a level 3 skiller. With this said, some content may not be fully accessible. Will anything overpowered be introduced with sailing? 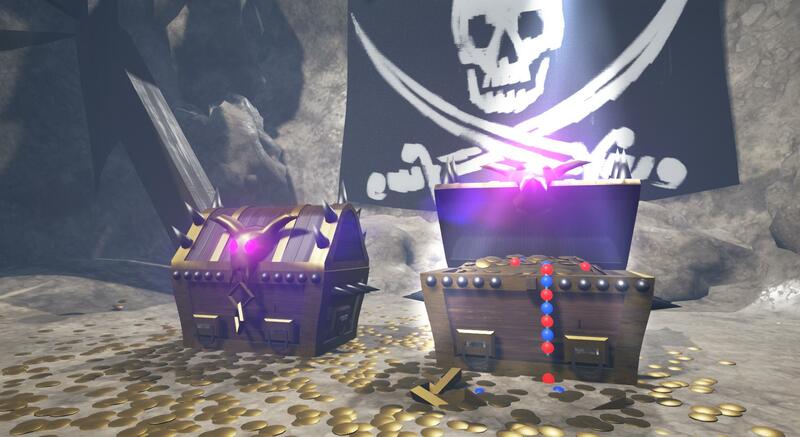 The community will have control over which rewards end up in game as we will be polling any rewards that will raise the current top experience rates as well as any new best-in-slot equipment. If the community does not approve of the rewards they will not pass the poll and they will not end up in game. Will I need to have a high sailing level to visit areas unlocked by sailing? 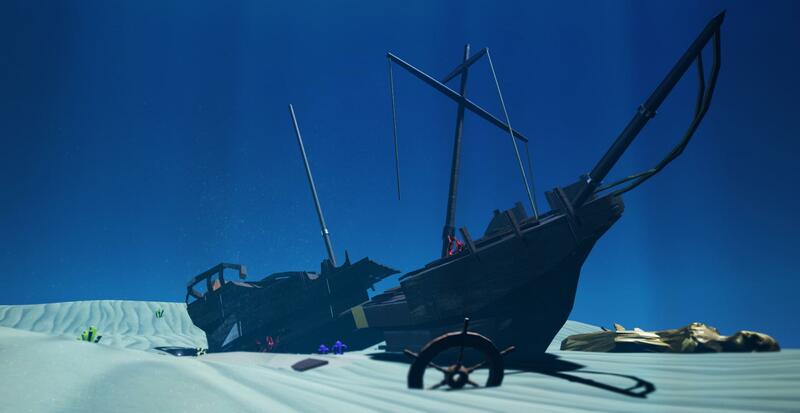 Some areas that are locked behind a sailing requirement will be accessible by players that do not have the necessary sailing level if someone that does have the sailing requirement chooses to take them there. There will, however, be some content that requires a certain sailing level to access. If you have any further questions that were not answered by this developer blog, please check out the recent sailing AMA that Mod John C hosted on reddit as well as the live sailing Q&A that took place last Sunday. 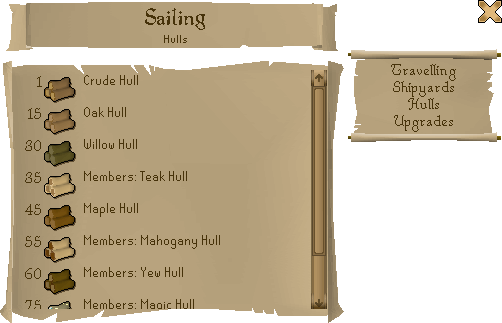 1) How will sailing work to augment skilling if the journeys are randomised; how will you be able to get back to the same resource multiple times? 2) You mention that you can access resources without a sailing level if a friend takes you there. How will you encourage training of sailing, when this mechanic in construction has led to fewer people training because they can just leech somebody else? 3) You mention point to point routes. Given the number of ports already, and those to come, there must be hundreds of possible routes and an exponential increase as more are added. How will this concept be expandable? 4) You mentioned in the Twitch Q&A that you didn't wish to lock boats behind construction by requiring a construction level to build them. If, however, the boats were tradeable between players (so a player requires only the sailing level to use the boat), wouldn't this solve the issue? The boats wouldn't be locked behind construction, and it could also lead to a profitable method out of construction. 5) How will the click and point approach to moving the boat work a) in and around land masses (especially very small ones, like around tutorial island) and b) in relation to other players' boats? Too bad it HAS to be sailing.. Would've prefered if several skill idea's where polled instead . Interesting, thanks for the summary! I'm still a little confused in regards to the "buyable" component of Sailing. Is ship building going to be the area where players can spend money to enhance experience gain, or will excess money be useful for all parts of the skill? Whether or not Sailing will be a "buyable" similar to Construction or Prayer is the most important consideration for me currently.